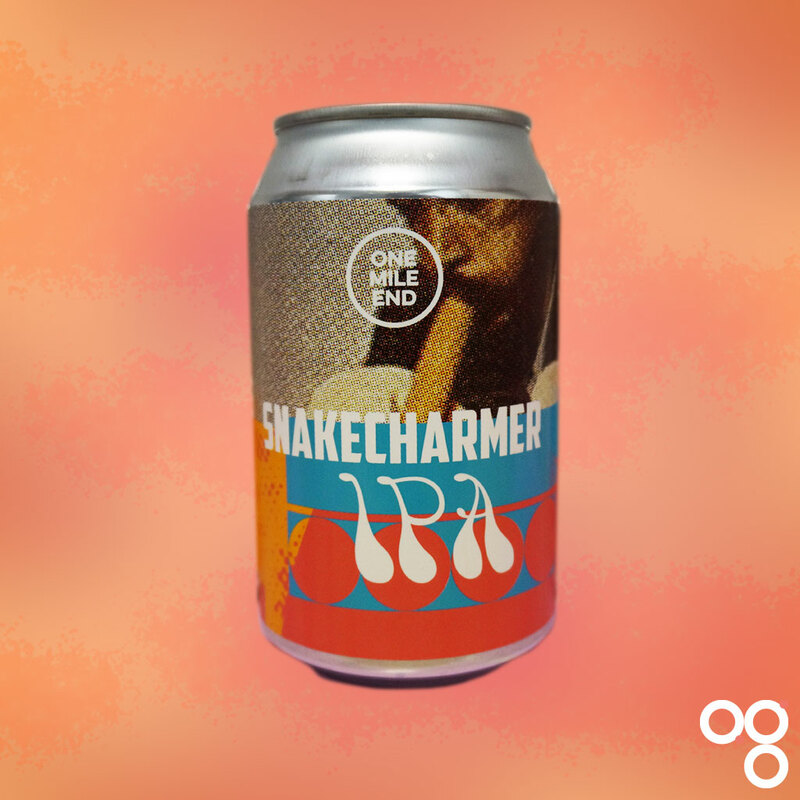 Here’s your cheat sheet for Snakecharmer by One Mile End Brewery. I’ve only had a couple of beers from these guys before, and both were quite different styles, so I’m looking forward to trying this one. Featured in main subscriber box on 31 May 2018. Find One Mile End Brewery on Twitter at @OneMileEnd and on Instagram at @onemileend. So, we’re in fairly familiar territory again with a fruity IPA. This one has been dry-hopped for “an intense aroma of sweet lemon, blueberries and tropical fruits”. That sounds like Mosaic hops to me. Of course there would be others in there with it, but that flavour profile matches Mosaic pretty exactly. The brewery also tells us “the 90-minute boil gives this beer a full body with a slight caramel finish”. Yup. OK. Sounds nice. One Mile End tweeted and confirm the hops in this one. Great cheat sheet! Love the food pairings! Hops are indeed Mosaic along with a bit of Citra and Cascade. Hope you enjoy! With a strongly-flavoured beer like an IPA you need strongly flavoured food. Spice can work. Particularly if the spices are giving more aromatic flavour than chilli-heat. If the malts are robust enough it can stand up to some chilli too, but if not you risk the hops taking over and simply making the chilli taste hotter. A mild blue cheese should work here too. So perhaps try some youngish Stilton or another creamy blue cheese with a fruity and slightly spicy chutney on the side. Get an oatcake or even a digestive biscuit rather than the usual creme cracker, and you’ll tie in with those caramel malts in the beer as well. Sounds like a winner to me. Read more on this beer from BeerBods and One Mile End Brewery.